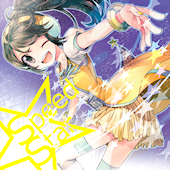 RTTF’s Speed Star is now available on iTunes. The best part is that it appears to be available worldwide! The digital release includes all of the tracks from both discs for only $9.99. As a reminder, it features new tracks from Chris Bucknall (of CJ Crew), Jakazid, and some of Japan’s top doujin artists.